Believe it or not, we see females and males in the gym using The Bod Booty Bands. The Bod Booty Bands were fondly named by us after the better known 'resistance bands'. We just love how much adding these bands to lower body exercises can transform the way you train your booty so we had to honour it. Resistance bands create a force against the muscles you're working. Adding a band creates a resistance, unlike any free weight or machine can offer alone. (A free weight is any piece of gym equipment that doesn't limit the range of motion in which you use it.) Think dumbbells, barbells, kettlebells etc. Along with upping the intensity or difficulty of an exercise, an added booty band can even get under-active muscles firing! 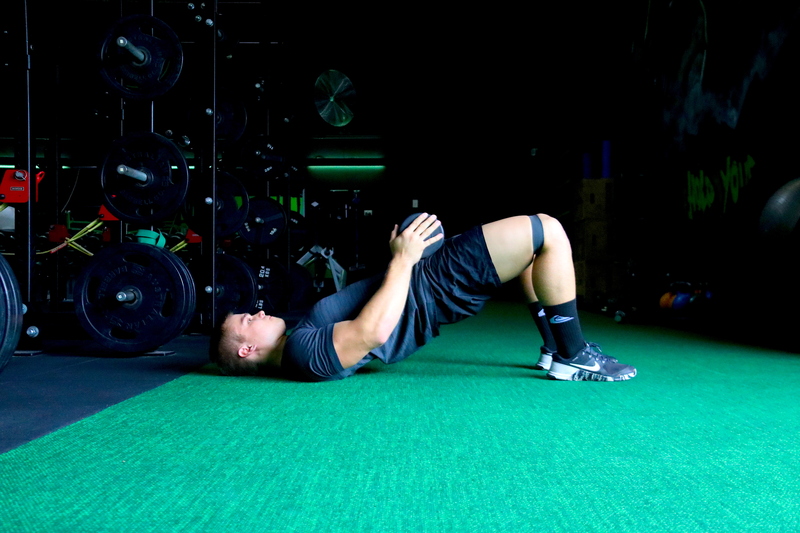 Take this banded glute bridge below. The glute bridge is a great exercise to recruit the glute, hamstring and quadricep muscles. Studies have shown that modern day athletes can experience poor posture and under-active glutes from sitting down all day simply due to a desk job. So this is definitely one to work into your next leg day! When you add a resistance band into the mix, you immediately turn your abductors on as they work to push the band outwards. Try some banded glute bridges to turn on your glutes and fire up your abductors! In the image above, coach Liam demonstrates a forward moving monster walk. The resistance of the band and the constant need to push the legs outwards turns on the quads and glutes, and in particular glute medius. Activating the glute medius is a common occurrence for us on leg day, but did you know that we also use it for simple day-to-day movements like walking and running? The tension causes your muscles to contract and further stimulate growth than the exercise alone! 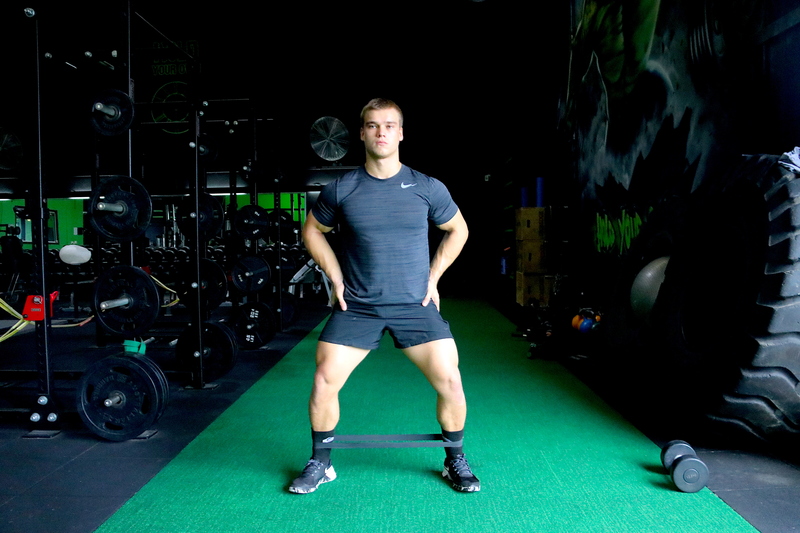 Banded crab walks are another effective warm-up technique to activate the hip abductors. The abductors are important to 'turn on' especially when performing compound movements such as the squat. Without the help of your abductors (which are located on the lateral side of the thigh), your adductors begin to work overtime and can cause the knees to cave in. Get yourself some booty bands today. They're friendly on the joints, compact and easy to take on the go, and a must-have for your gym bag!